10 years ago Rhode Island passed legislation that made health insurance companies pay for the treatment of Lyme disease. And Rhode Island passed legislation that allows doctors to treat Lyme disease as they best determine – without losing their medical license. Imagine if this had not passed. Imagine this kind of legislation was even needed. 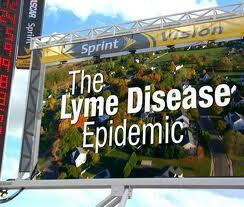 This is what it is like to have Lyme disease outside of Rhode Island. Only a handful of states adopted similar legislation since then. This entry was posted in Lyme Disease and tagged antibiotics, insurance companies, law, legislation, Lyme, Lymedisease.org, Lymetimes, medical license, Rhode Island, treatment. Bookmark the permalink. Hi Cynthia, I live in Canada and cannot imagine a system that places money above health. My daughter has heart disease. She has had 3 heart surgeries, a trip to the Mayo Clinic in Rochester, Minnesota, and a G-tube implant in her 28 years. All of this has been covered by the government. I wonder about priorities of a government that does not look to provide its citizens with such a basic human right as access to comprehensive healthcare.